"An anonymous remailer is a server that receives messages with embedded instructions on where to send them next, and that forwards them without revealing where they originally came from. There are Cypherpunk anonymous remailers, Mixmaster anonymous remailers, and nym servers, among others, which differ in how they work, in the policies they adopt, and in the type of attack on anonymity of e-mail they can (or are intended to) resist. Remailing as discussed in this article applies to e-mails intended for particular recipients, not the general public. 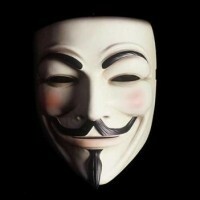 Anonymity in the latter case is more easily addressed by using any of several methods of anonymous publication." DOWNLOAD THE COPYRIGHT FREE OF CHARGE BEFORE THIS OFFER GETS WITHDRAWN and you LIVE to REGRET not getting PREPARED in TIME! Note, the above copyright teaches you how to use the only type of remailer you can be GUARANTEED to use in a CRISIS (i.e. from some 'other than usual' computer ... where you cannot install software, necessarily ... The BASICS of being CRYPTOGRAPHICALLY able to PROVE your IDENTITY across TIME online :) Cypherpunk remailer tutorial!! Also some COOL code! There are several strategies that affect the anonymity of the handled e-mail. In general, different classes of anonymous remailers differ with regard to the choices their designers/operators have made. These choices can be influenced by the legal ramifications of operating specific types of remailers. It must be understood that every data packet traveling on the Internet contains the node addresses (as raw IP bit strings) of both the sending and intended recipient nodes, and so no data packet can ever actually be anonymous at this level. In addition, all standards-based e-mail messages contain defined fields in their headers in which the source and transmitting entities (and Internet nodes as well) are required to be included. Some remailers change both types of address in messages they forward, and the list of forwarding nodes in e-mail messages as well, as the message passes through; in effect, they substitute 'fake source addresses' for the originals. The 'IP source address' for that packet may become that of the remailer server itself, and within an e-mail message (which is usually several packets), a nominal 'user' on that server. Some remailers forward their anonymized e-mail to still other remailers, and only after several such hops is the e-mail actually delivered to the intended address. A pseudonymous remailer simply takes away the e-mail address of the sender, gives a pseudonym to the sender, and sends the message to the intended recipient (that can be answered via that remailer). A Cypherpunk remailer sends the message to the recipient stripping away the sender address on it. One can not answer a message sent via a Cypherpunk remailer. The message sent to the remailer can usually be encrypted, and the remailer will decrypt it and send it to the recipient address hidden inside the encrypted message. In addition, it is possible to chain two or three remailers, so that each remailer can't know who is sending a message to whom. Cypherpunk remailers do not keep logs of transactions. In Mixmaster, the user composes an email to a remailer, which is relayed through each node in the network using SMTP, until it finally arrives at the final recipient. Mixmaster can only send emails one way. An email is sent anonymously to an individual, but for them to be able to respond, a reply address must be included in the body of the email. Also, Mixmaster remailers require the use of a computer program to write messages. Such programs are not supplied as a standard part of most operating systems or mail management systems. A Mixminion remailer attempts to address the following challenges in Mixmaster remailers: replies, forward anonymity, replay prevention and key rotation, exit policies, integrated directory servers and dummy traffic. They are currently available for the Linux and Windows platforms. Some implementations are open source." https://en.wikipedia.org/wiki/Cypherpunk_anonymous_remailer Type 1 Remailers Cyberpunk!